Extend your Apple Watch's life with the power of ugly. One of the main complaints Apple Watch naysayers have is that the advertised 18-hour battery life of the wearable is kind of crappy. An expensive, upcoming accessory aims to address that issue, but we’re not sure that the look appeals to us much. The new band is called the Reserve Strap, and while it definitely sounds useful, its price and appearance leave our pointers well clear of the pre-order button. Reserve Strap is coming out November 3, and it promises to add an extra 30 hours of battery life to the Apple Watch, giving you over two and a half times the usage per charge. And it charges your smartwatch while you’re wearing it by using its hidden accessory port. If you take off the part of your Apple Watch band that has the holes in it, you’ll see a tiny, mysterious port tucked up inside the notch in the casing. 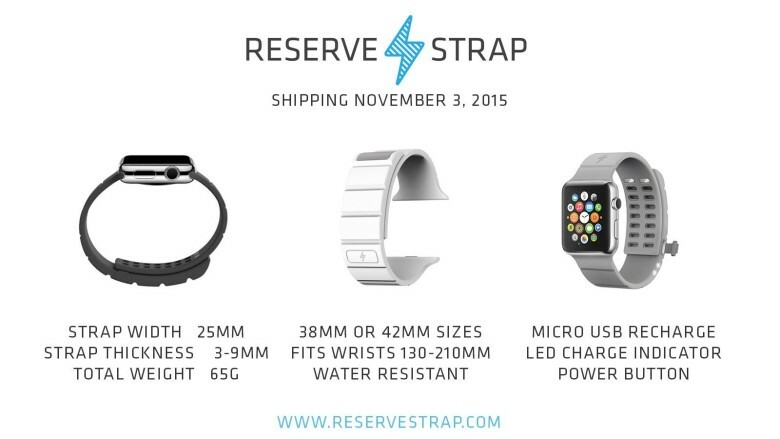 Reserve Strap taps into that to feed in the power and keep you checking your eBay auctions for days on end. You could also wear your Apple Watch to bed if you’re curious about your heart rate during sleep and then get up in the morning and go about your business without worrying about having to plug in. Don’t get us wrong — all of this is great. But the design is a bit clunky and bulky. This is tough to avoid considering the function of the thing (it does contain batteries, after all), but it really looks like those belts that Stormtroopers wear in the Star Wars movies. And while that may make some supernerds want one even more, I’m not one of them. The price is also pretty high: It costs $250. But then again, you can buy a Modern Buckle strap from Apple for the same price or a Link Bracelet for almost twice that, and neither of those will do anything but keep the Apple Watch on. So that’s not as big a hurdle as it seems, I guess. It just looks so bad.